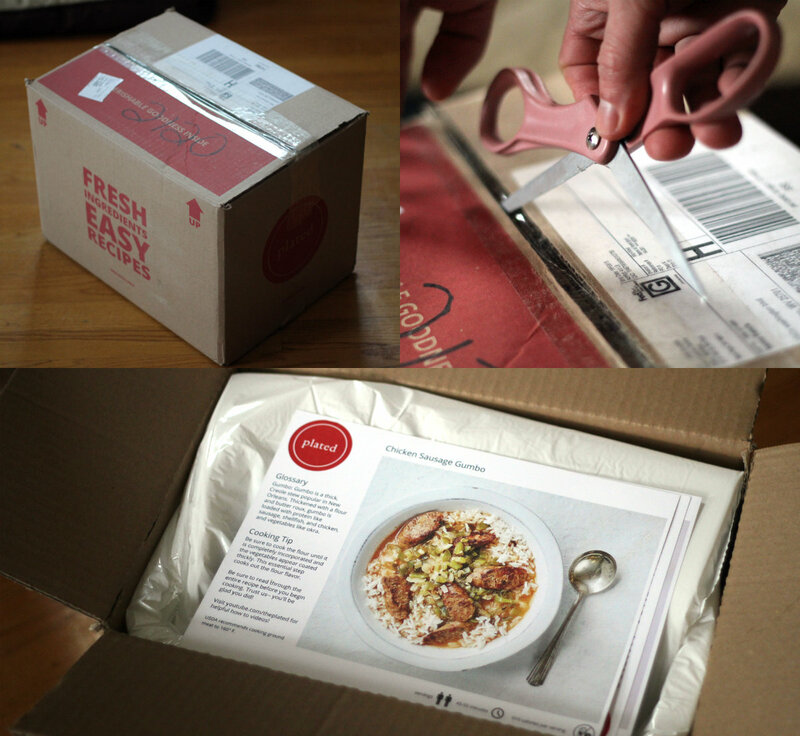 ads for boxed meal deliveries have inundated us online — facebook and instagram are full of them. the pictures look beautiful, but i’ll admit we was more than a little skeptical; first, that the produce and meat delivered to us would look as good as they do on the websites (i mean, when have you ever seen a big mac that looks like the advertisements?) and second… that the meal would be good at all. 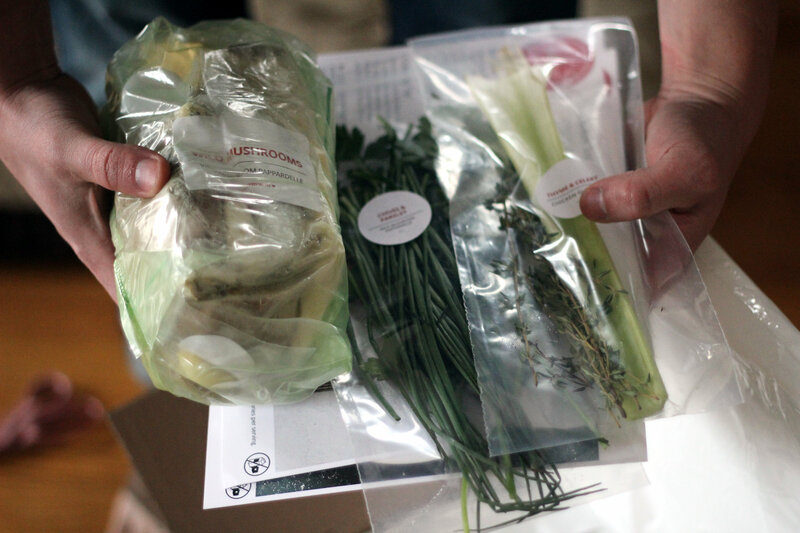 we looked into plated, blue apron and hello fresh. we didn’t want to make a massive investment into something we weren’t sure about — so we went with the one that was the cheapest off the bat. we paid just $24 for three meals for the both of us. we thought $24 was an amount of money we’d be happy to throw away if it turned out to be a bust, but thankfully it didn’t. overall, we were really happy, and if you like what you see and want to try it out: there’s a link at the end of this post you can click on to get the same deal. as nerdy as it sounds, the most exciting part was opening the box! it took three days to get to us because we ordered in the middle of a massive snow storm, but the ice packs inside were still completely frozen, so nothing was compromised. the box is lined in a padded, thermal case. the chef was really impressed. we loved two of the meals we received. the third… needed a lot of doctoring. 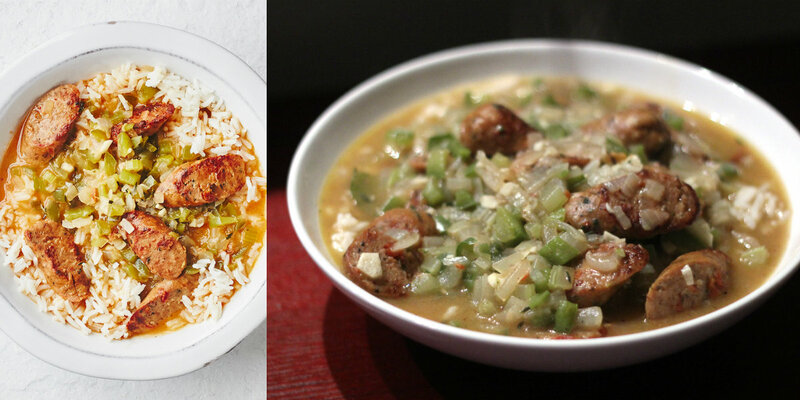 here’s a look at all of our meals; plated pictures on the left — our pictures on the right. this was the first dish we made, and our favorite of the three. the amount of mushrooms provided was incredible! we got about a pound of three different varieties. they were incredibly fresh. the pasta quality was great too. it seemed like it was really fresh. there was the perfect amount of cheese, and more than enough chives. each of these meals are supposed to be enough for two people — this was more than enough, perhaps. we were both full about 2/3 of the way through, but it was so good we shoveled the rest in. this was the second dish we made, and it was a really close second for our favorite of the three. we loved every bit of this meal — and loved how fragrant it made our kitchen! sauteed shallots, garlic and ginger.. throw in the sliced beef, add some light coconut milk, a cinnamon stick, lemon grass, thai chili pepper. oh my gosh, i’m smelling it again just typing this. i actually just drooled. this was our last meal, and sadly the meal that left the most to be desired. the ingredients were fine, but it didn’t come with any spices. so imagine, heating up some chicken broth, then throwing in the trinity (celery, green peppers, onions) and chicken sausage. what you get is the gumbo of hot ham water… so watery, and yet there’s a smack of chicken to it. we added a couple chicken bouillon cubes and a lot of cajun seasoning. and eventually it tasted pretty good. overall, we’d give our experience 4 out of 5 stars. it was a great deal and tasted amazing. but we’re not sure the meals would be worth full retail value. the three meals we cooked would have cost $72 if it weren’t for the promotion we used – and neither of us are willing to spend that much money on the product. if you’d like to try the $24 plated deal, click here. have any of you tried any other delivery services like plated?